National Research Award 2018 “Juan de la Cierva” of Technology Transfer. 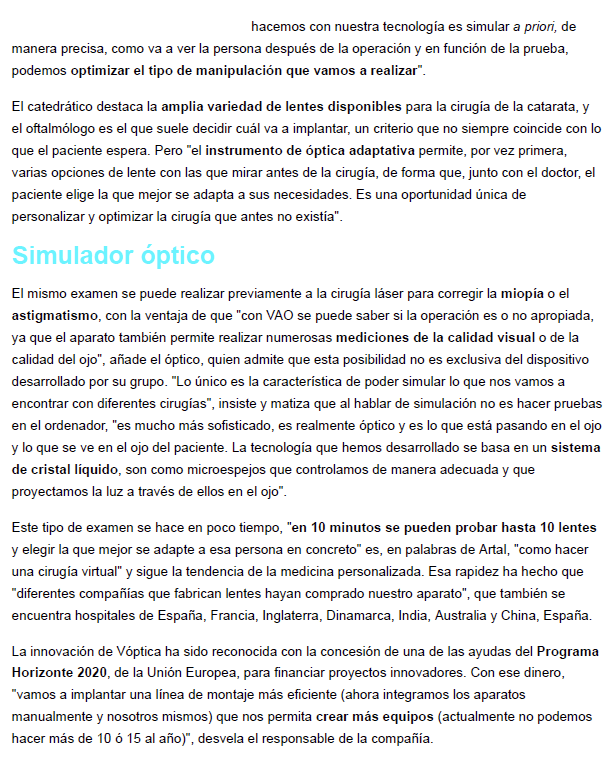 Pablo Artal will receive this week the national research award. 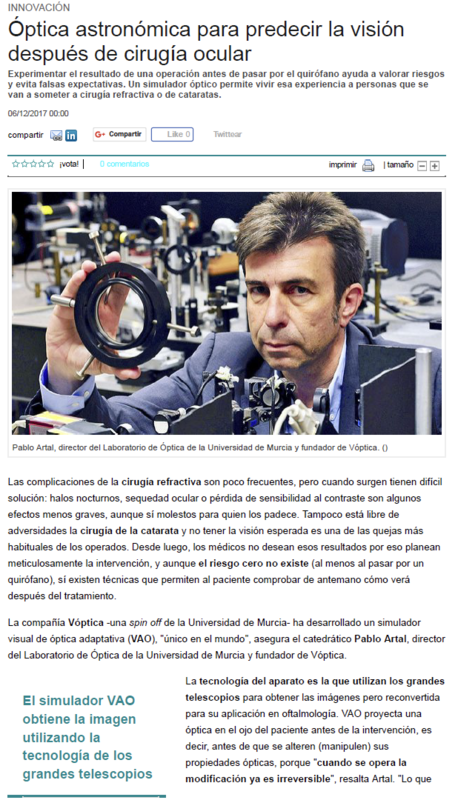 Pablo Artal had an interview in ‘Curiosity’ on 7 TV Región de Murcia to speak about his Juan de la Cierva Award as a recognition for his trajectory in Visual, Adaptive and Biomedical Optics Research.